Hanover, MD – This week, the International Union of Painters and Allied Trades (IUPAT), and its Painters and Allied Trades for Children’s Hope Foundation (PATCH), launched a new fundraising campaign to support NAMI Ending the Silence. This program was developed and is instituted by the National Alliance on Mental Illness (NAMI) in middle and high schools throughout the country to help students understand mental illness and its toll on children and adults alike, as well as teach them the warning signs to prevent suicide among their peers. The PATCH Foundation announced it will donate $1 to NAMI Ending the Silence for each new “like” on Facebook.com/PATCHfoundation, up to $10,000, in September as a part of Suicide Prevention Month. The PATCH Foundation was founded in 2001 by the IUPAT with the mission to help children in need throughout North America and beyond. Since then, the Foundation has given over $1 million to organizations across the United States and Canada supporting everything from education and medical care to youth athletics. 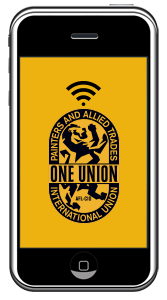 Learn more about the IUPAT and PATCH Foundation at www.IUPAT.org and www.IUPAT.org/PATCH. Learn more about how you can support NAMI Ending the Silence at www.NAMI.org.